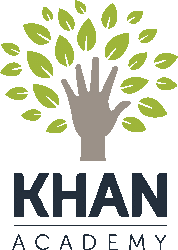 Khan Academy: Khan Academy offers practice exercises, instructional videos, and a personalized learning dashboard that empower learners to study at their own pace in and outside of the classroom. We tackle math, science, computer programming, history, art history, economics, and more. Our math missions guide learners from kindergarten to calculus using state-of-the-art, adaptive technology that identifies strengths and learning gaps. Fact Hound: FactHound is an innovative new Web portal designed to provide students with the most accurate and current resources available on the Internet. Students can visit www.FactHound.com and search by book ID number, title, keyword, or ISBN for additional information. FactHound will fetch a list of approved and recommended Web sites matching the search criteria. 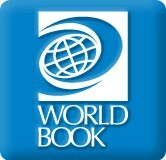 World Book Student Fascinate student researchers with thousands of articles and multimedia aligned to curriculum. Contains numerous tools to engage users in 21st-century education and blended-learning practices. World Book Student features responsive design, daily current events, assessment tools for educators, and dedicated resource guides to provide blueprints for advanced learning and college and career readiness. World Book Online: Captivate even the most reluctant reader with unique visual engagements, rich multimedia content, and an abundance of educational games, activities, and projects. With thousands of articles, multimedia content, and a collection of biographies, World Book Kids is designed to encourage the young learner to be curious. The carefully curated content also supports STEM/STEAM instructional initiatives. World Book en Español This dedicated Spanish-language database contains videos, compare-and-contrast features, selected articles, and a visual dictionary to allow ESL students and Spanish-learners the chance to learn. Integrated with World Book Kids for parallel English-language content. Here is a list of resources and information for homeschooling families.